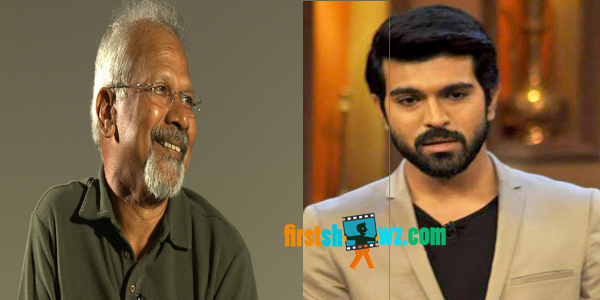 There has been buzz a while ago regarding Ram Charan, Mani Ratnam combo. However, the film didn’t materialize and Mani Ratnam went on to do Ok Bangaram while Ram Charan signed for Bruce Lee and Dhruva. The buzz is back in tinsel town again that Mani Ratnam is planning to revive his plans of casting Ram Charan in one of his next movies. The film to be shot in Tamil and Telugu will hit the floors once the eccentric director wraps up his ongoing film Kaatru Veliyidai. More details are awaited. Ram Charan for now is busy with the climax part of Surender Reddy directorial Dhruva, official remake of the Tamil film Thani Oruvan, being produced by Allu Aravind under his banner Geetha Arts. Rakul Preet Singh, Aravind Swamy are also part of the movie.